Stay a step ahead of regulatory due diligence demands throughout the life of a customer relationship. CDD is the cornerstone of effective customer risk management. To maximize effectiveness, CDD/EDD processes need to be streamlined across the entire customer life cycle. Data collected at account opening, but not utilized during the assessment of future customer activity, is a lost opportunity and a blind spot in customer risk assessment. Verafin ties all stages of the customer lifecycle together. From customer onboarding to ongoing surveillance of your customer base with intelligent high-risk customer finder analytics, Verafin provides you with a complete, customer-centric CDD solution — helping you accurately assess the customers that pose the greatest criminal risk to your institution. Ensure front-line staff can quickly collect information on new personal and business accounts, necessary for customer assessment and identification. The information collected integrates into Verafin for enhanced risk stratification and ongoing surveillance. Capture beneficial ownership information, including control and ownership prongs, for new accounts and established customers. Verafin allows you to customize in-line notifications for your account opening questionnaire. When onboarding new high-risk customers, automatic messages can prompt front-line staff to collect EDD documents, or to take additional measures, based on your institution’s BSA/AML compliance policies. Verafin’s intelligent risk categorization effectively manages high-risk customers, providing you with a more accurate assessment and understanding of your customer risk profile. Analytical models help you find previously unknown high-risk customers within your customer base, to properly assess, categorize and manage them. Verafin monitors customer activity throughout their relationship with your institution and alerts you to additional risk factors or activities that exceeds those declared at account opening. Create EDD workflows for your high-risk customers with Verafin’s fully integrated case management functionality. With categories that align with your institution’s risk policies, and customizable review processes including review dates, email reminders, and task assignments, Verafin centralizes and streamlines your EDD processes. Verafin automatically creates a risk profile for each of your customers with stratified risk levels and categories that align with your institution’s risk policies. Assessment is based on numerous parameters, including entity, geographic, and product risk factors — presented in a color-coded Customer Risk Scoring dashboard. Verafin reduces the compliance burden and improves efficiency by managing high-risk customers in a targeted way. Our intelligent risk categorization approach identifies, categorizes, stratifies, and actively monitors ongoing high-risk customer activity. This enables BSA/AML professionals to perform powerful and efficient ongoing due diligence that is in line with the true risk the customer poses to the institution. Verafin’s account opening questionnaire includes tools that help standardize collection of customer information, from defined value ranges for expected transactions, to a convenient NAICS Code Finder that automatically suggests the correct NAICS code to the front-line users. Verafin presents you with a visual representation of all entities and accounts with a relationship to a particular customer, helping you understand the bigger picture of potential risk and complete more in-depth due diligence. 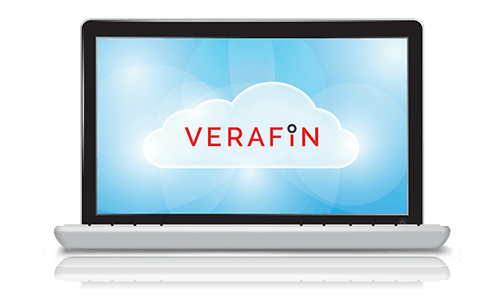 Interested in learning more about Verafin's CDD/EDD Solution?